Tapestry Opera, the Toronto-based opera company with a nearly four-decade-long history of producing new works, rarely puts something on its stage without a great deal of thought. That thoughtful reputation certainly comes in handy with Hook Up, Tapestry’s upcoming world premiere set to run January 29 to February 9 at Theatre Passe Muraille. Composer Chris Thornborrow, librettist Julie Tepperman, and director/dramaturge Richard Greenblatt, dare to tell an uncomfortably familiar story that, today, is full of the themes that permeate every news story and piece of media we consume. 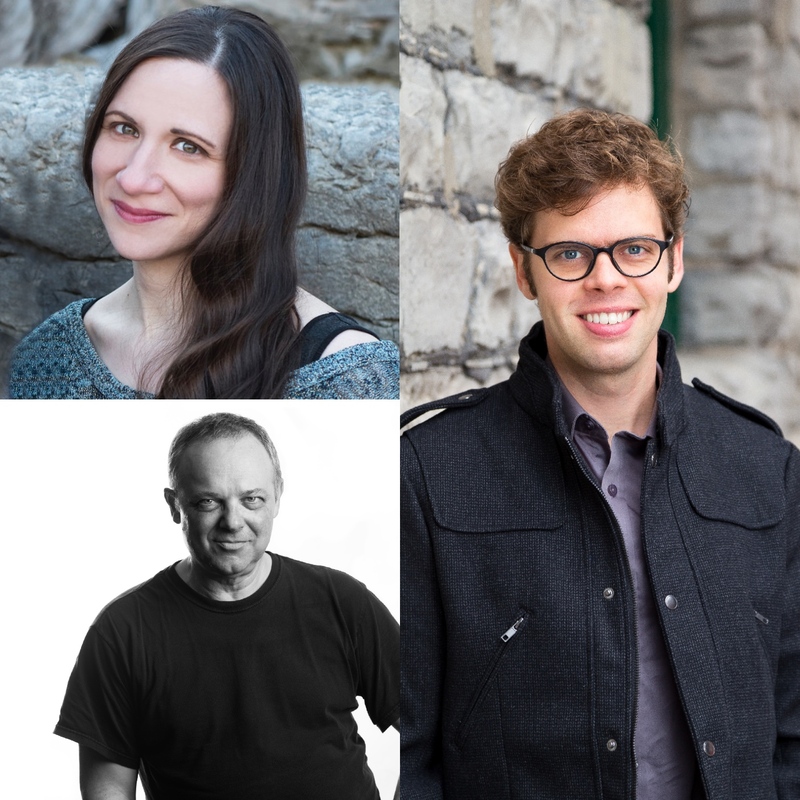 The creative team of Hook Up: (clockwise from top left) Librettist Julie Tepperman, composer Chris Thornborrow, and director/dramaturge Richard Greenblatt. Photos courtesy of Tapestry Opera. Originally workshopped under the titles Cindy + Mindy = BFFs 4EVR and Selfie, the story of Hook Up has roots in the culture of cyberbullying, before the recent introduction of anti-cyberbullying laws. “Those laws came into existence over the course of workshopping Selfie,” says Tapestry Artistic Director Michael Mori. Though the specific issue saw important change, the creators of what would become Hook Up still wanted to tell a story that addressed the underlying themes: self-esteem, peer pressure, and consent. The plot feels familiar, even for those well beyond their carefree (?) youth. Mindy, her best friend Cindy, and her boyfriend Tyler, all move from their hometown to start at the same university; Cindy finds freedom in being a social party-goer, and Mindy tries out her “grown-up” life, balancing her studies with spending comfortable nights in with Tyler. But when she and Tyler take a break, Mindy gives the party scene a try; when she wakes up, her last memories of the night before are of drinking a lot, and heading upstairs with a strange guy. Clockwise from top: Nathan Carroll, Emily Lukasik, and Alicia Ault, members of the world-premiere cast of Hook Up. Photos courtesy of Tapestry Opera. 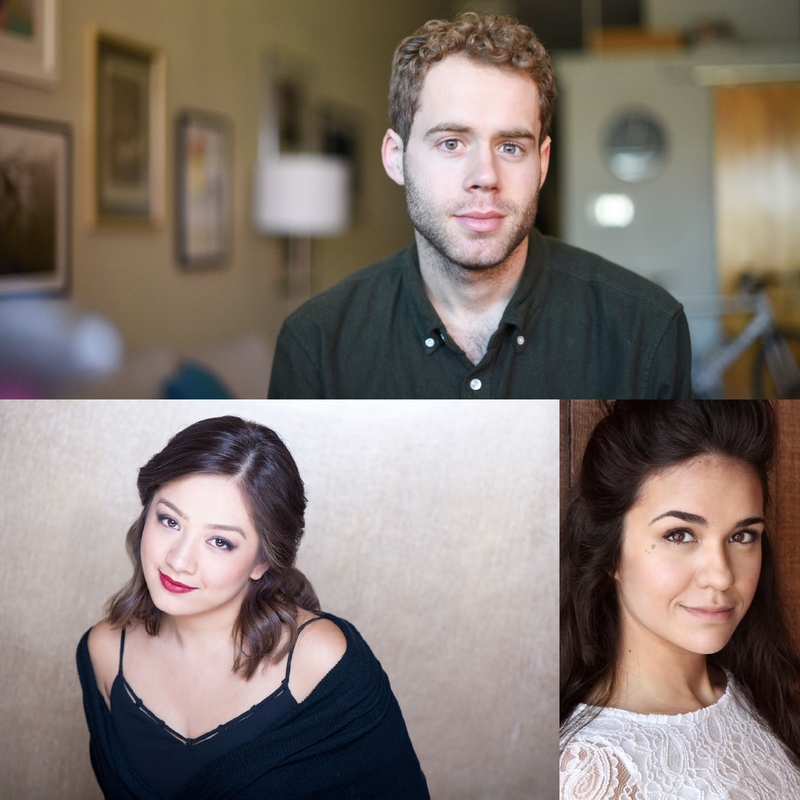 Mori describes Hook Up as having “one foot in opera, one foot in musical theatre.” The cast of singers is classically trained, and experienced in musical theatre; they bring to Tapestry Opera a stylistic edge that Thornborrow’s score uses as a storytelling device. The end result, though it suggests an uncomfortably familiar story, is “not a chastisement.” It’s a chance to hear one young woman’s story, particularly valuable when so often it’s the victim’s voice that is heard the least. The world premiere of Hook Up, directed by Richard Greenblatt, runs January 29 to February 9 at Theatre Passe Muraille, 16 Ryerson Ave. For details and ticket information, click here.